As we discussed in an earlier article in this series, one of the first things a business owner or CEO should do before engaging a CFO services firm is establish a clear business case for doing so. The next step is to identify the areas of the business where the services firm will focus and the specific objectives the firm will strive to meet. By taking this step, businesses can ease any apprehensions they might have going into an engagement about maintaining control—over the engagement itself or the time and/or cost invested in the engagement. The parameters of the engagement should be well defined up front so there are no surprises later, for either the client or the outsourced CFO services firm. This includes setting high-level strategic objectives and identifying specific tasks the firm will perform in order to meet them, as well as the approximate timeline for completion of these tasks and accomplishment of the objectives. This is usually the first task a CFO services firm will perform when starting work. It typically involves in-depth interviews and discussions with financial and accounting managers and staff and other executives (as necessary) in order to drill down deep and get to the root cause(s) of the problems the business is facing. With a good understanding of why a business is facing specific problems, the CFO services firm can begin to map out the appropriate solution. Ideally, this is done while working closely with the business, and with the buy-in and cooperation of key executives and staff. Once a solution is identified, it must be executed. This is where the rubber meets the road: A great solution poorly executed will do little if anything to help solve the underlying causes of the problems identified in step #2. The solution should include tactical initiatives to be undertaken by the CFO services firm that are specifically designed to help solve these problems. By carefully documenting all the steps and tactics detailed in the solution, the CFO services firm and client are creating a road map that will provide direction for the engagement every step of the way. This document can be consulted throughout the engagement to help keep everyone focused and moving in the same direction. The CFO services firm should not wait until the engagement is over to debrief the client on its findings and accomplishments. Instead, milestones should be built into the solution document, with the services firm debriefing the business at these key points so the CEO and executives are aware of progress all along the way. In our experience, one of the biggest hesitations many Los Angeles and Southern California businesses have in engaging a CFO services firm is concern about losing control over the engagement. Specifically, they are worried that the scope of the project will balloon after the services firm is hired—and their costs along with it, in both time and money. The best way to ensure that this doesn’t happen is to carefully follow the engagement steps detailed here in the form of the 6 D’s. 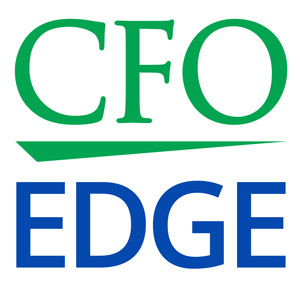 In the sixth article in this series, Addressing Common Objections to Engaging a CFO Services Firm, we’ll look at three concerns executives share with us about outsourced engagements along with our responses.